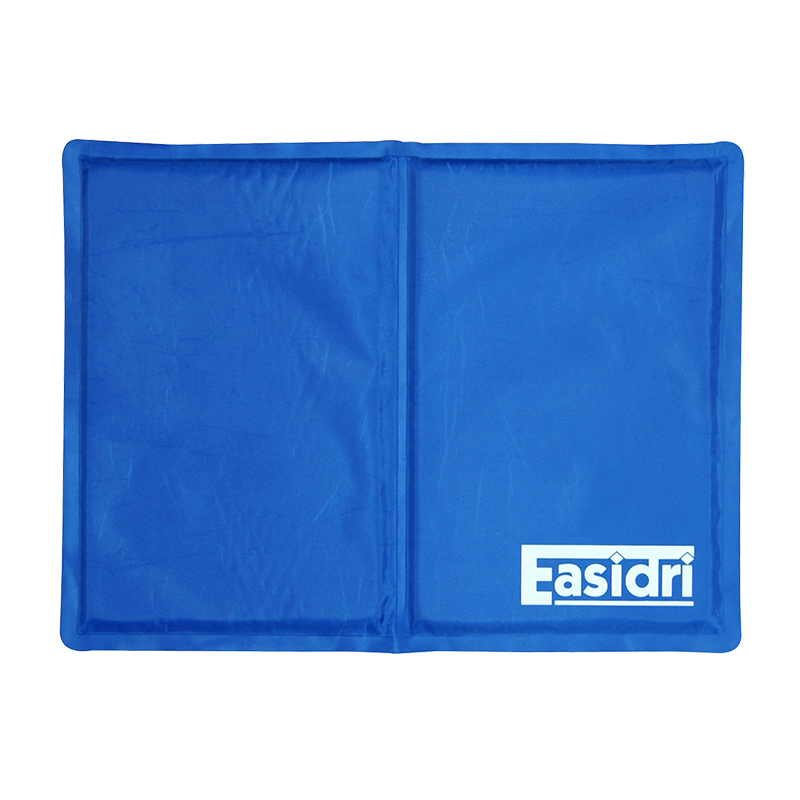 The Easidri Cooling Mat is a water resistant mat that is ideal for keeping your dog cool and comfortable in the heat. It can be used indoors or outdoors and even in your pet’s bed. It is particularly useful in the car, when travelling on hot days. The Easidri Cooling Mat is soft and durable and is also beneficial to older, arthritic pets. The nylon cover is an advanced composite waterproof fabric, which can be wiped clean easily, and the gel filling has been tested to food gradings, so it is safe for your pet. Give your pet the comfort they deserve, even in the heat. • The heat from your dog will transfer to the mat and the mat will heat up with use. When the mat is warm, place the mat in a cool, shaded area, to allow it to cool down. • Store the mat in a cool, shaded area.